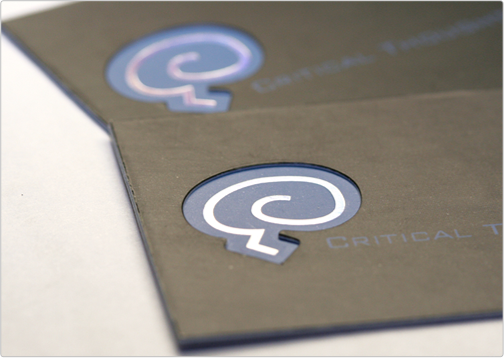 This business card design is extremely custom and involves multiple enhancements to create an incredible printed brand. 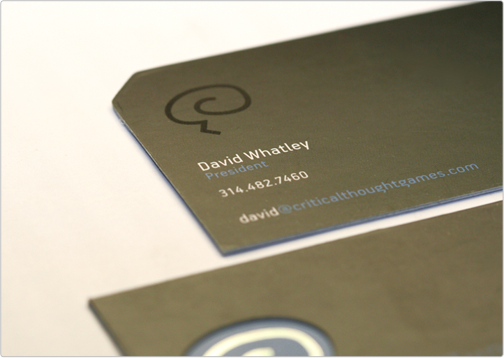 The business card is printed on two 16pt card stocks and one of the stocks is punched out. 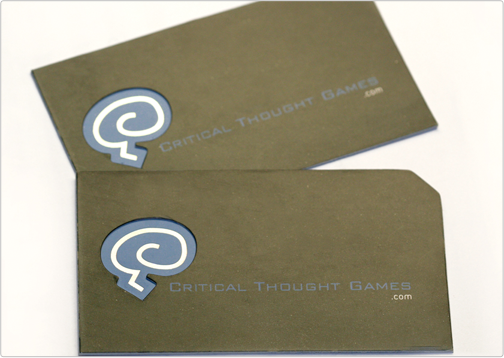 Then, the business card is stamped with decorative foil and given spot gloss. Finally, the card is glued together with adhesive to create an ultra-thick unique business card.